The race for the At-large seat on the Council of the District of Columbia is a hotly contested one this year. 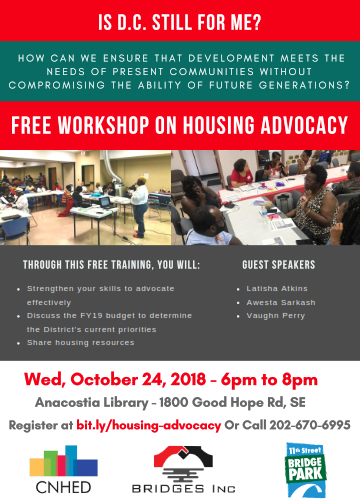 Come to the Year of the Anacostia Forum for At-large Council Candidates to hear from DC Council candidates their views on the Anacostia River, Anacostia Park, neighborhoods closest to the park and river, and other important issues. Join the National Park Service (NPS) Wednesday, October 17, 6:30-8:30 pm for an open house and informational session on Kenilworth Park North, the former landfill site in Ward 7.